Many of you will doubtless already have heard of, or perhaps even sampled, Brunello di Montalcino. Made from 100% Sangiovese, this powerful red wine from southern Tuscany has made quite a name for itself, and, let’s be honest, it could hardly be considered obscure. But since this wine costs anywhere from $40 to $150 per bottle (or more), it’s certainly unusual for me to be drinking it. 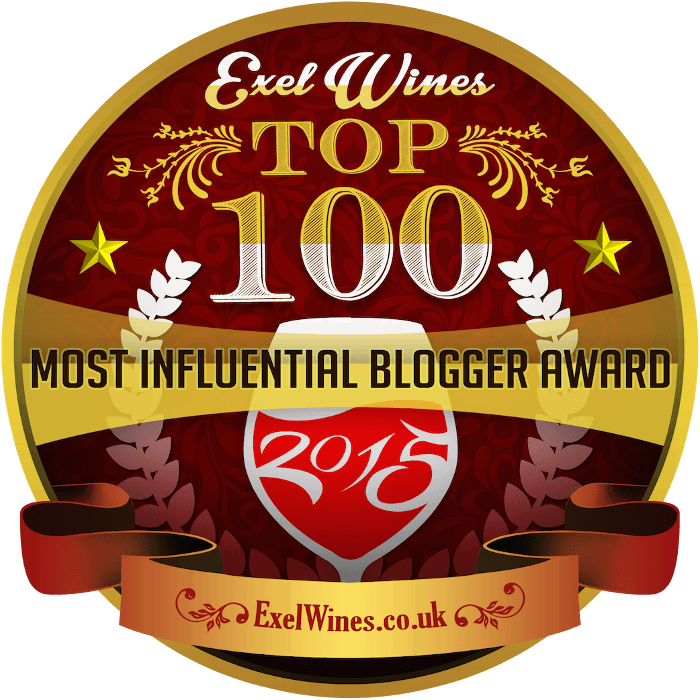 So let’s have a little fun and talk about a more exclusive wine for a change. After all, it’s important to splurge every now and then, and a bottle of Brunello di Montalcino is a worthy splurge. I had the opportunity to try some Brunellos when I was invited to dinner by the engaging Alessandro Bindocci of Tenuta Il Poggione, along with the vivacious Liz Barrett of Terlato Wines, a major Chicago importer. The wines were delightful. And indeed, Montalcino is blessed with excellent terroir. The World Atlas of Wine notes that “Montalcino has the double advantage of the warm, dry climate of the Tuscan coast with, in the best vineyards, the rockier, less fertile soils of the cooler Chianti Classico zone.” Around the time Biondi-Santi was bottling the first true Brunello, Lavinio Franceschi recognized the potential of the region and bought some land himself, founding what would become Il Poggione. 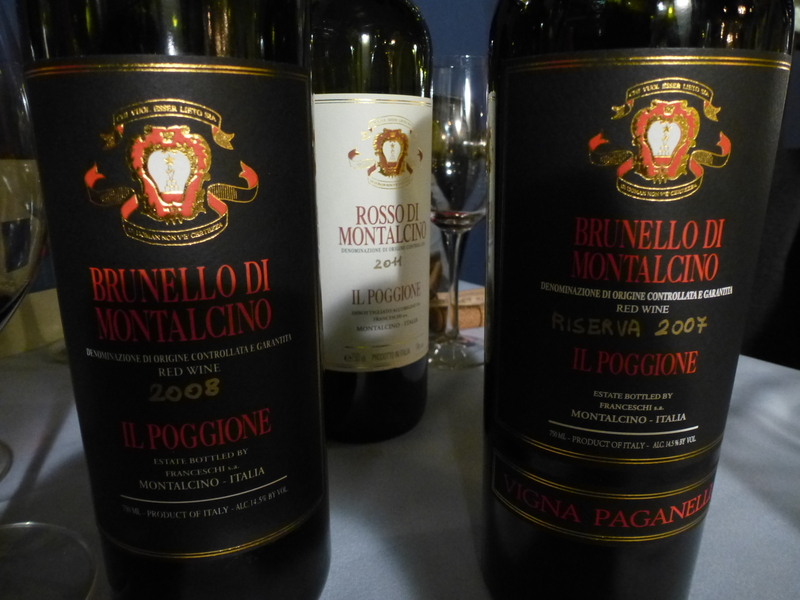 These Brunello pioneers established the tradition of long cask aging, a practice codified in 1960. The law at that time required a minimum of 42 months of cask aging, reduced to 36 months in 1990 and 24 months in 1998 (aging in cask and bottle must still total at least 48 months, however). Less concentrated fruit won’t stand up well to all that aging, however, hence the creation of the Rosso di Montalcino classification, which allows wine to be released after only one year. And, as the Atlas notes, this classification allows producers to use only the most age-worthy fruit in their Brunellos, keeping the quality level high. This doesn’t mean that Rosso di Montalcino isn’t worth drinking. Bindocci shared the 2011 Il Poggione Rosso di Montalcino with me, and it tasted delicious, with ripe red fruit, powerful but carefully controlled black-pepper spice, and a surprisingly long finish. It was big, but by no means overblown. Sipped with some prosciutto, it felt mellower, and some vanilla notes became clearer. At $20 per bottle, it’s an excellent value, and a fine wine to bring to a dinner party. The Sotheby’s Wine Encyclopedia asserts that the best Brunellos require at least 10 years of maturation in the bottle, but the younger Brunellos we sampled next worked for me. We started with a 2008 Il Poggione Brunello di Montalcino, which is aged three years (not just the minimum two) in large casks and one year in the bottle. The fruit comes from vines at least 20 years old. It had a tightly wound aroma which opened over time, big fruit, a beautiful structure and a finish that went on and on. I wrote in my notebook, “Can simply taste the quality.” This powerful wine costs about $65 a bottle — no small sum — but it lives up to the price tag. And then there was the 2007 Il Poggione Brunello di Montalcino “Vigna Paganelli” Riserva, which comes from the oldest vineyard on the Poggione estate, planted in 1964. According to Il Poggione’s website, the vines there are “used for sourcing the Sangiovese clones when new vineyards are planted.” This is a wine, therefore, with a significant pedigree, and it lived up to my considerable expectations. Aged four years in casks and one year in the bottle, this Brunello had an enticing aroma of vanilla and oak. It sounds crazy, but there was a note of cognac in the nose — it was that big. The flavor started with juicy, cherry fruit, and it grew and grew. This wine was huge, with gorgeous structure, beefy tannins and a long, raisiny finish. I can see why some people are moved to spend $90 or so on a bottle. I was particularly impressed that these wines weren’t simply fruit and oak bombs. Both Brunellos blossomed when paired with some lamb, their ample acids keeping things balanced and food-friendly. It’s not often I have the pleasure of drinking wines in this price range — most of what I write about costs well under $20. I love these wines, and I love writing about them, but it is great fun to step out of my budget from time to time. When you taste wines like this, it’s easy to understand why they’re expensive, and it’s easy to taste why they’re worth it. Note: These wines were provided to me free of charge, as was the dinner that accompanied them. We tasted some other well-crafted wines at this dinner as well. Read about an unusual Pinot Grigio here, and about an exciting unoaked Barbera here. 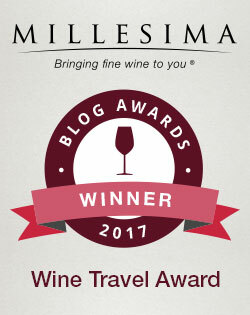 To learn more about the wines of Montalcino, have a look at Bindocci’s blog, the Montalcino Report.